Imran Khan’s inaugural speech has left many wondering about his determined mindset behind the unflinching moves he has vowed to make. Imran’s address touched millions of hearts, with his intent of building the nation speaking volumes. What an electrifying speech that charged almost every Pakistani possessing even a faintest of feeling of courage and willingness to change the future of Pakistan. That was indeed the much-needed energy to pave way for a better Pakistan, aka #NayaPakistan. But I have a question here. Is this Imran Khan’s responsibility to turn around Pakistan into a better place to live? Of course he is responsible along with his selected team but are they the only people responsible for turning around Pakistan? Or do we as citizens of Pakistan, all so eager to reap the benefits, share no responsibility in making this happen? Isn’t there anything we the people of Pakistan in our personal capacity can do to speed up this journey towards a prosperous Pakistan? 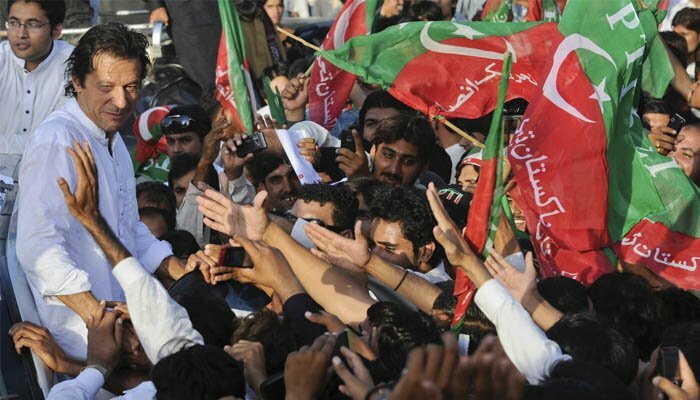 Should we not step forward and show our pride in owning the vision that has been shared with us to make Pakistan a thriving state and reassure Imran Khan and his team that we, the general public of Pakistan, will also do anything that is required to help realize the goals he set forth for us. Well, if you are one of those people who were charged by prime minister’s speech and are buzzing with energy to do something for your country, you are about to be enlightened with the ways you can help contribute in this cause. This article is all about small things we can do (or should not do) to turnaround ourselves and help Imran Khan build the kind of nation he has dreamt of. This is a wakeup call for all Pakistanis to reassess their potential in building #NayaPakistan. This is a reminder of preparing ourselves for the great responsibility every one of us now bear on our shoulders. This article is all about finding the strength from within to help make it happen against all odds. Here is a list of ten resolutions of #NayaPakistan. So if you are ready for the change and serious about making Pakistan a better place to live, you too can play your part. The parliamentarians have taken their oath, it’s about time that you take it too. 1. I will not ride on the traffic-line and will stop the vehicle on red signals even if there is no camera or traffic warden around and I will not talk on phone while driving. 2. I will not spread litter in my street or on roads while driving and spit in public or on public walls/corridors. 3. I will control my anger to not take the law in my hands. 4. I will not waste water in the kitchen and bathroom by using as little water as I could while doing dishes, washing hands, clothes, vehicle, brushing teeth, bathing or taking a shower. 5. I will plant a tree and will take care of it to make it fully grown. 6. I will take care of my health by not skipping breakfast and doing regular exercise. 7. I will volunteer for a social cause. 8. I will not jump queue or give/take bribe. 9. I will be kind to people around me, will not call them by names or hurl abuses. 10. I will, as an overseas Pakistani, invest and raise remittances through proper banking channels. Well, this is what I could think of and I am sure that there could be a lot more things that can have a positive impact on yourself or the people around you. This would be our contribution towards building a superior Pakistani nation. A ‘Super Nation’ if I may say. This is from where we start, by turning around ourselves first. By committing to ourselves of become a better person than we have been so far from now onwards. This is what can do to get the #NayaPakistan kick-started. This is where you can help Imran Khan bring the much needed change he spoke of. And remember that’s the only chance we have been given so we better make sure that we get the maximum out of it and at least be able to start a process that ensures a better Pakistan for generations to come.